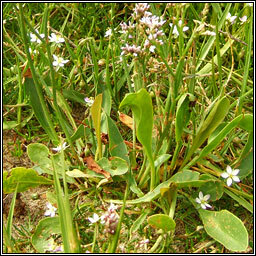 Habitat: Muddy salt-marshes on English and Welsh coasts, rare in Scotland, absent from Ireland. 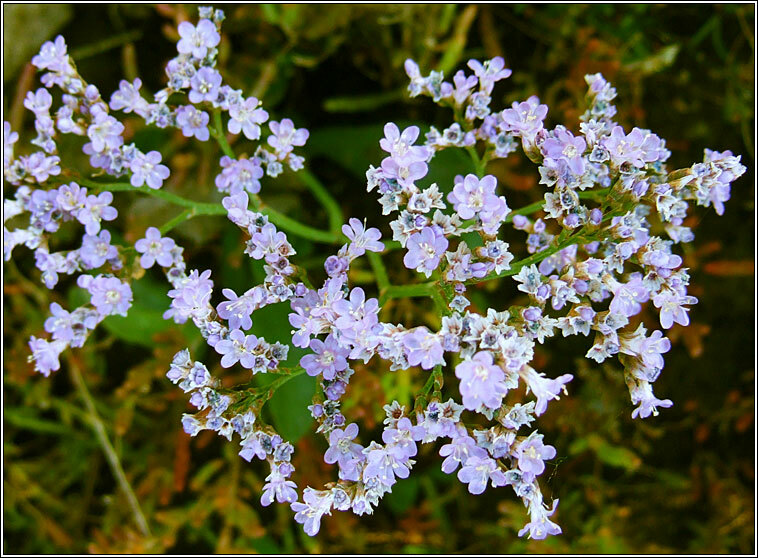 Arching spikes of lavender-blue flowers, denser than those of the very similar Lax-flowered Sea-lavender, L. humile. Basal rosettes of pinnately-veined leaves with a tiny spine at the tip. Flowering stalks 10-40cm tall.